Bath season is here! Tell me there is nothing better than a long soak in the tub to warm you up this time of year. Whether it's following a cold, morning run or just recuperating from a busy day of life or holiday shopping, there is no better way to unthaw than a good soak. 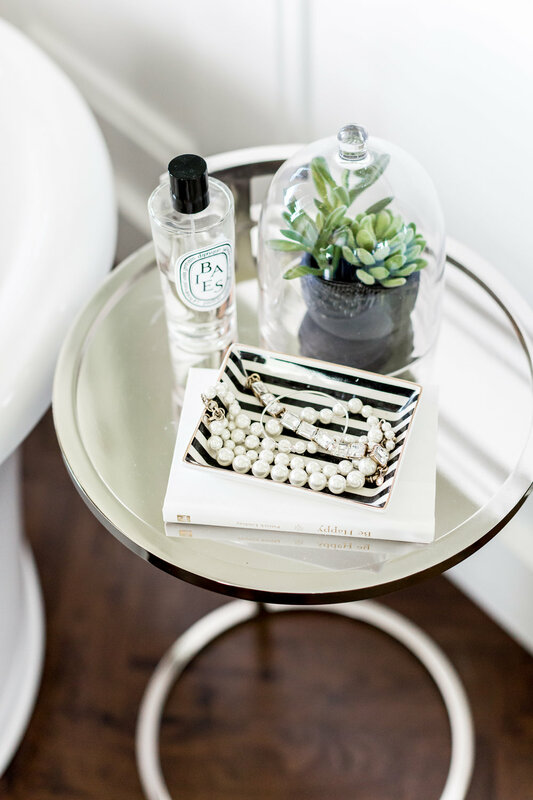 We love a bathtub side table in a master bath as a great catchall for your phone, book, candle or jewelry. In honor of this nod to soaking in the tub (can you say stress relief!) 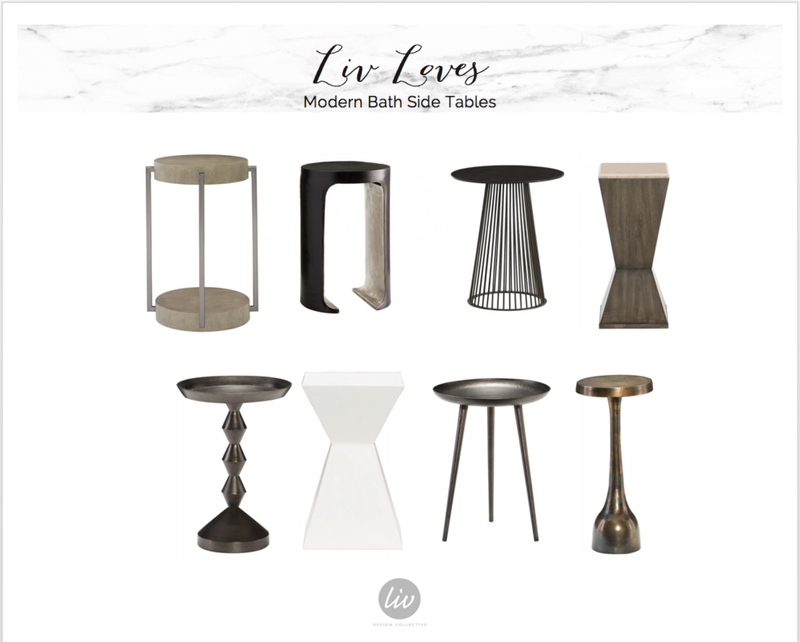 we want to share the Liv teams favorites for bath tables. Most any stump or side table can work for a bathside table; you just have to consider material, size and proportion -- and, of course, function. Here is a sampling of a few master baths we have used side tables. We tucked the table right up to the side of the tub to keep it away from traffic flow to the closet in this remodel. In this new construction project, we used the new trend of gold to add interest in a bath hosting chrome and nickel finishes. 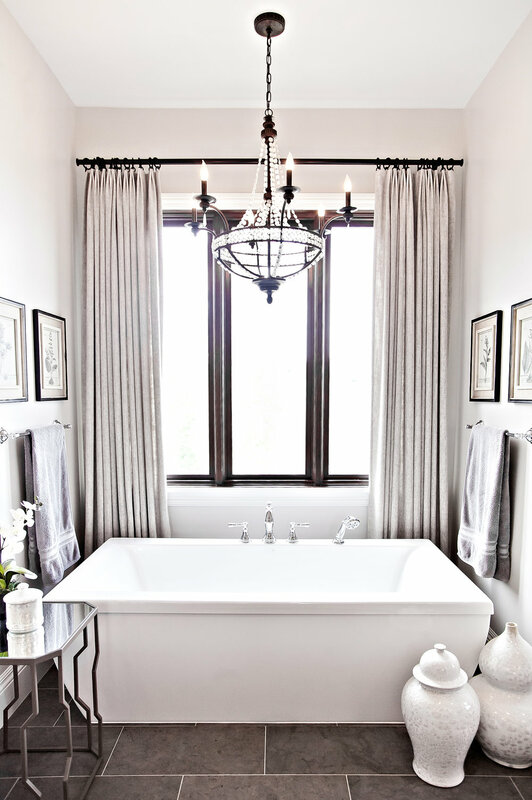 Glass is always a great way to add some sparkle to any bath. This inexpensive table tucks perfectly in the corner and adds some glowing reflection. An accent piece is a great way to add your punch of style. If your bath is more transitional but you love mid-century this is the perfect place to add a piece that makes the space yours. If your space is casual, but you love an elegant touch, especially in your master, then add an elegant marble, gold, or glass table. Does your bath need warmth? Too much start or white? We love adding texture and interest with a fun wood table or stump. If you are limited on space choose something small with a simple pedestal base. Could your bathroom need more interest? If everything is a bit to matchy then we love to add something unexpected or with a different texture like a marble or concrete table. Here are some of our favorites for modern or classics baths!